The objective of advertising and communications is to sell products and/or services and in so doing contribute to a company’s bottom line. The annual APEX awards rewards those campaigns that hit a home run, stood out, turned intrigue into desire, converted fans into followers and followers into fanatics – the work that worked and worked hard to deliver a tangible, measured return on investment and/ or objectives. “APEX affirms the credibility and the value of creativity in business. It is a testament to our credence as a profession because it affirms our contribution to business success and the economy in general. This affirmation ensures that our profession and sector as a whole maintained, sustained and grown into the future. As they say in the business of advertising and communications – and that’s not all! Proceeds raised from the APEX awards fund skills development and talent in the form of much needed bursaries for deserving students at the AAA School of Advertising,” says Odette van der Haar, CEO of Association of Communications and Advertising (ACA) that hosts the annual APEX awards. Apart from being an essential business tool that affixes value to credentials for agencies, marketers and leading brands, an APEX award is a definitive manifestation of great ideas meeting great results. APEX recognises the work that worked; the campaigns that demonstrated effectiveness in creativity that extends beyond pictures to creative intellect and intellectual property that is the currency of the industry. The adjudication of APEX submissions is very stringent because the standard is high given what the award represents for the profession and winners alike. 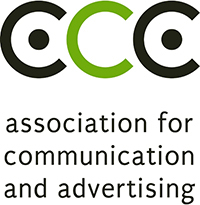 The adjudication panel is made up of captains of industry from various disciplines within the business of advertising and communications including: research, strategy, media, creative direction, marketing and digital. Judges will be scrutinising the case studies of each submission for campaigns that broke through the clutter, had extensive reach and communicated via relevant mediums to reach and resonate with desired target audience. The rigorous adjudication process spans three rounds when submissions will be judged against specific criteria including rigour, degree of difficulty, clarity of evidence, compelling case and insight. “We want to see how agencies effectively contributed to their clients businesses and to the success of a brand. We want admissions that are a clear demonstration of the vital role that effective advertising and marketing communications play in business sector,” says Richard Stewart – Managing Director of Millward Brown. For agencies, winning an APEX affirms their effectiveness and contribution to their clients’ businesses. For clients, winning an APEX affirms their contribution to their company’s bottom line. Winning an APEX is therefore the ultimate testament to the vital role that effective advertising and marketing communications play in business success. The 2014 APEX awards is proudly sponsored by key partners, SABC and sponsors Ads 24 and their brands City Press and Rapport, DSTV Media Sales, Millward Brown and The Sandton Convention Centre. For more information about the APEX awards visit www.acasa.co.za/apex.aspx or call the ACA on (011) 781 2772/3.